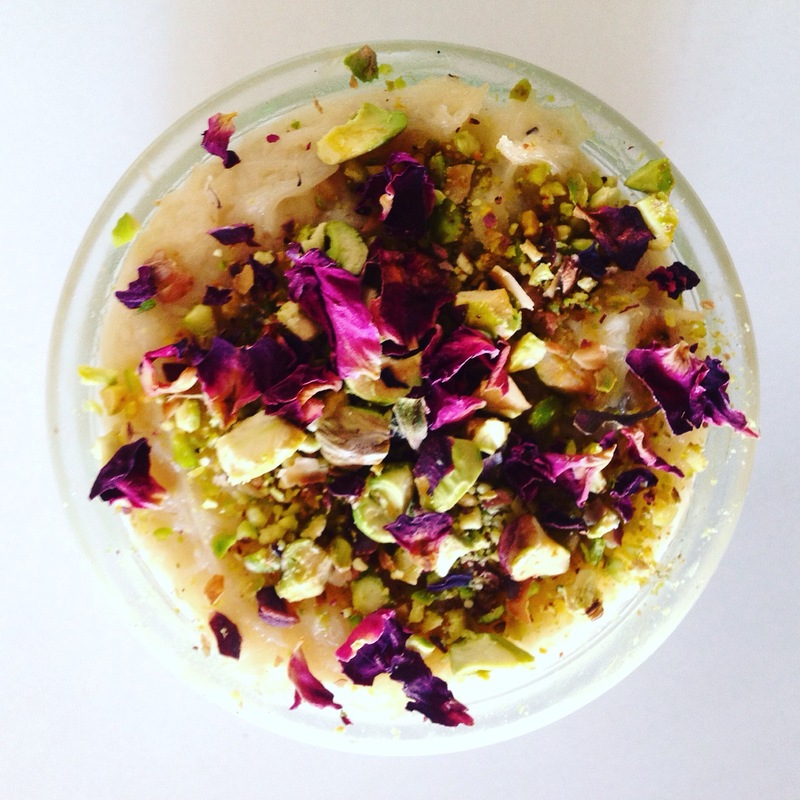 Persian pudding pots. – Greenwich Village Vegan. This was a total experiment that was inspired by some dried rose petals we had left in the kitchen from another meal and a visit to our local Indian corner store. 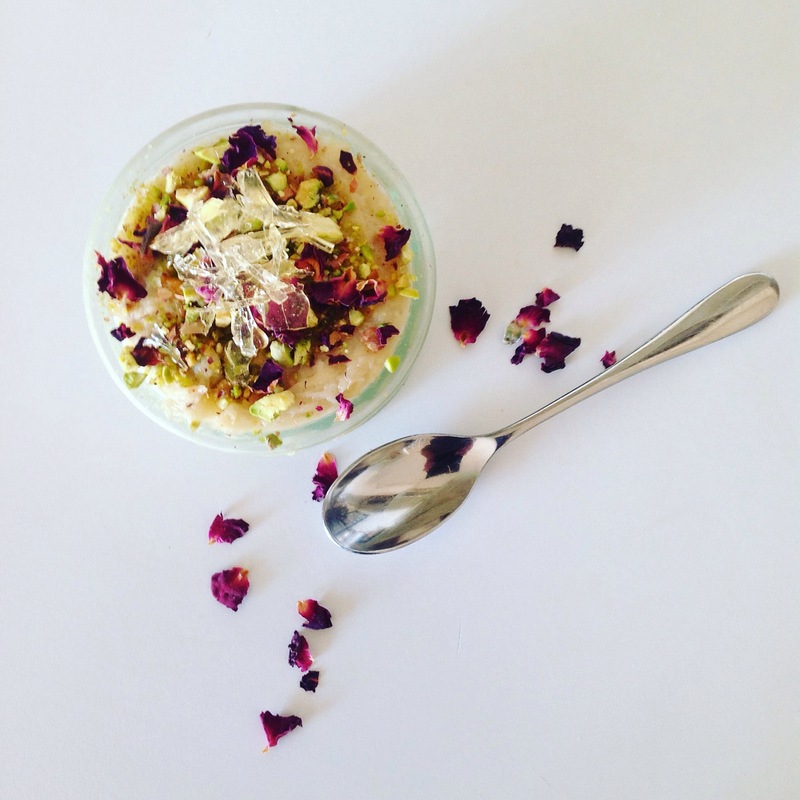 I wanted to make a sort of Persian/ Indian inspired milk pudding with so I just went free style and was so pleased with results! Favourite man who as you have probably gathered by now is somewhat brutal with his criticsim ate every single pot. I made this up as I went along so the quantities are (as usual) not precise. The vermicelli will cook really quickly ( I about 4-5 mins) it doesn’t matter if it you over cook it as does need to be gloopy! When it’s cooked drain it and leave it long enough for any excess water to to drain off. Pour in the almond milk, rose water, vanilla, cardomon, pistachios and fruit syrup and let it all bubble gently for about 10 minutes so the flavours all infuse the milk. Add in the vermicelli and let it all muddle together on a really low heat for about another 10 minutes. After that decant it into little ramekin dishes and pop in the fridge to chill. While they are chilling it’s time to have a go at the sugar glass, this was my first ever attempt and it scared the hell out of me, having sugar boiling angrily in a pan, but I gave it a go after lots of Internet research which I suggest you do too because it’s really tricky! When it reaches 300 C (I only had a meat thermometer which doesn’t go that high) it’s ready to either pour and spread on a lightly oiled tray or tray whip over really fast with a fork to make super fine strands. I need to really work on this and perfect it, if it’s too much faff you don’t really need it, I just wanted to try it because I thought it would look pretty. 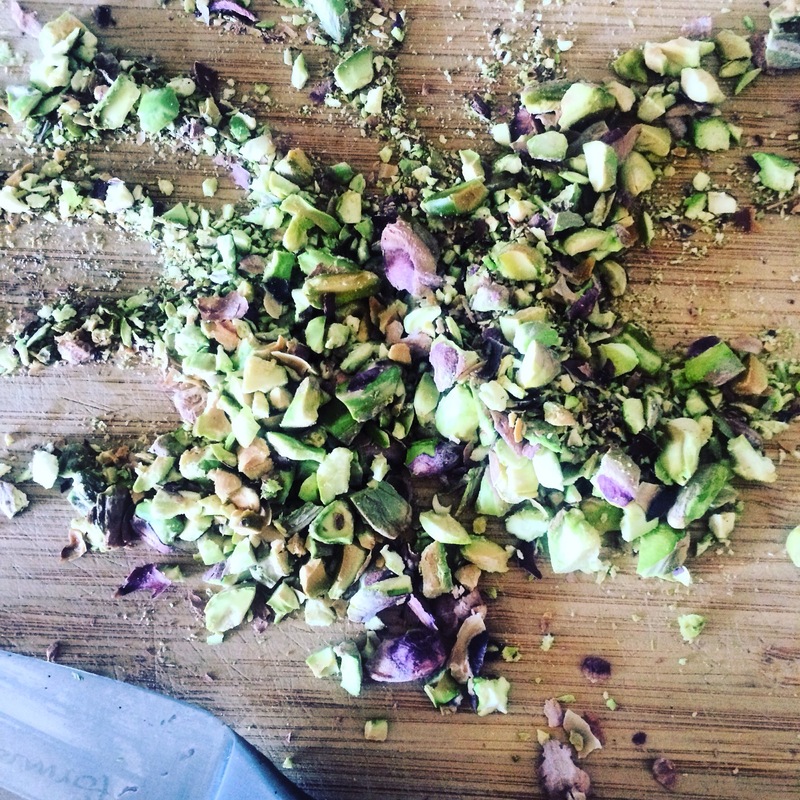 Scatter some pistachios and rose petals on the puddings and they ready to eat. This is a really fragrant and light after supper pudding and is delicious with a traditional small dark Greek or Turkish coffee. Next Post Pesto for the people.